The Battle of Zanzur or Battle of Janzur, also known as the Battle of Sidi Abdel Jalil (Arabic: معركة سيدي عبد الجليل‎‎), occurred in Janzour in 1912 on the eighth day of June during the Italo-Turkish War. 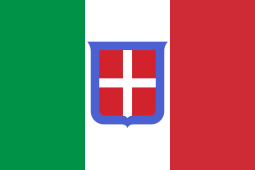 The battle took place between Italians and Ottoman forces and the Libyan resistance. 1 2 3 Jaques, Tony (2007). Dictionary of Battles and Sieges: P-Z. United States of America. 1 2 "30 Sep 1912 - TURCO-ITALIAN WAR. THE BATTLE OF ZANZUR. OVER 1". Trove.nla.gov.au. 1912-09-30. Retrieved 2015-05-21.